Introducing Long Tube Headers from Grams Performance & Design. Each long tube header is constructed from stainless steel 304 for corrosion resistance and longevity. The headers feature long tube 2 step 1-3/4 to 1-7/8 with a 3” true merge collector. This header also comes with cat-delete pipes and can easily be switched to high flow cats. 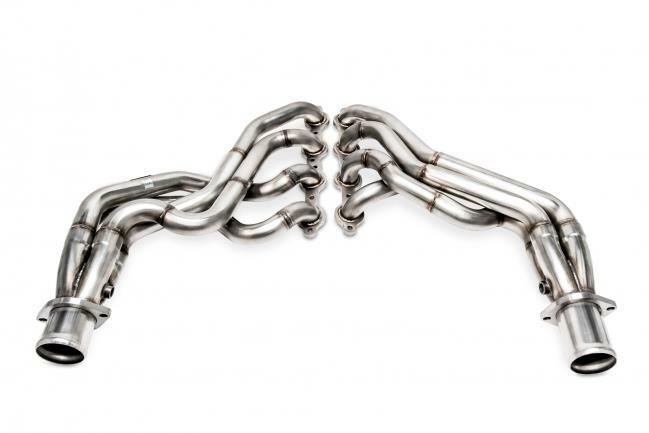 Every Grams header is designed and precisely engineered to maximize exhaust flow and increase, both, horsepower and torque throughout the powerband (increases from 30+ whp). The Grams Performance & Design Long Tube Headers use a true merge collector. The use of a true merge collector in Grams headers optimizes exhaust gas scavenging and improves volumetric efficiency. Unlike the more commonly used and less efficient straight collectors, the Grams Performance true merge collector allows the transition from primary tube to collector to be the smoothest possible. This reduction in turbulence helps maintain velocity through the collector. The Grams Performance & Design proprietary sizing system ensures the merged collectors, collector throat, and the outlet length of the exhaust are precisely sized for every engine and vehicle combination paired with rigorous research and development.